This full map of the Sun at a wavelength of 1.25 mm was taken with a single ALMA antenna using a so-called "fast-scanning" technique. The accuracy and speed of observing with a single ALMA antenna makes it possible to produce a low-resolution map of the entire solar disk in just a few minutes. 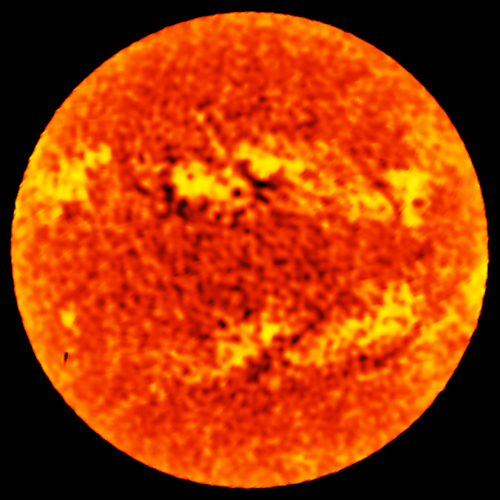 Such images can be used in their own right for scientific purposes, showing the distribution of temperatures in the chromosphere, the region of the solar atmosphere that lies just above the visible surface of the Sun.